PDF to Word Converter Pro is a product developed by GIRDAC InfoTechnologies. We know of versions 14.2, 5.0. Version 14.2.2.6 is available for download at our site. PDF to Word Converter Pro package has a size of 6,536,863 bytes. 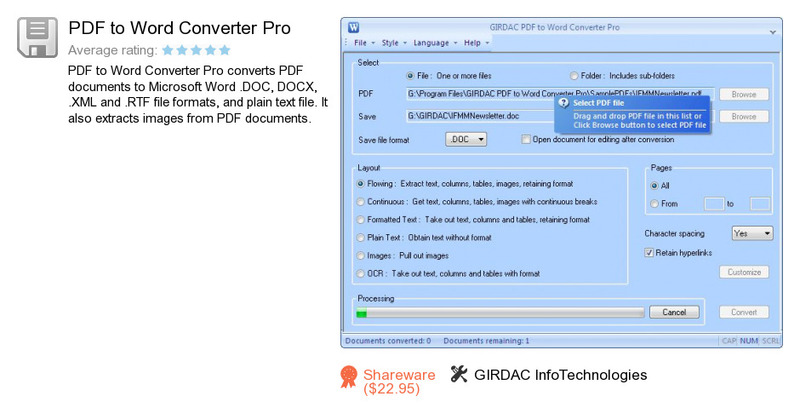 GIRDAC InfoTechnologies also publishes Free PDF Creator and PDF to Word Converter.